The road we travelled today was from Casa Grande to Nogales, AZ. The day was sunny with some cloud and 85 degrees. After a lovely breakfast at the hotel, we headed down the road and our first stop was Picacho Peak State Park. This is a park that previously we hadn’t gone through, but as we had the state park pass, we took a gander through. It is more of a hiking park up into the hills and has a campground and lots of trails. Before we even got into the park I started seeing birds. The neat thing was is these were real desert birds as this area is dry, dry, dry. Lots of saguaros and other types of cactus. Just a side note on saguaros. It appears that they need to be about 50 years old before they start producing arms. Saw a Gila Woodpecker, Curve-billed Thrasher and a cactus wren. 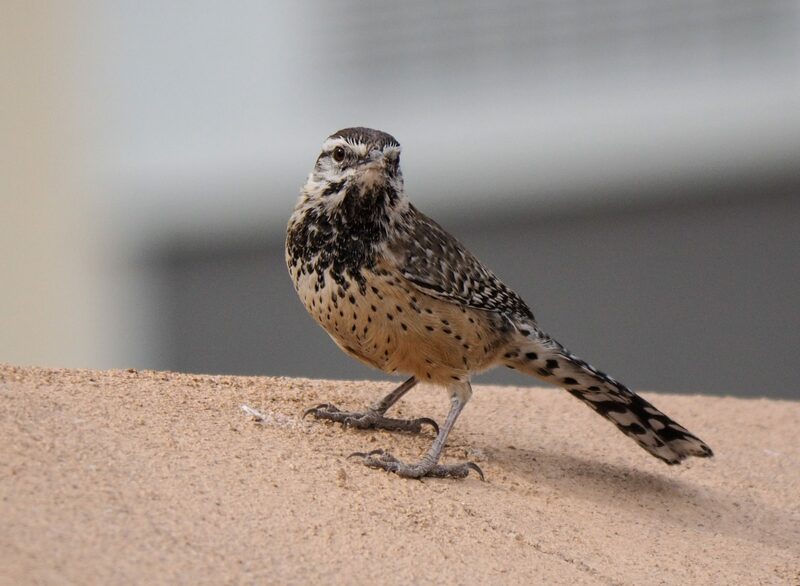 As a matter of fact, it was a day for cactus wren which is the official bird of Arizona and as a desert dweller doesn’t need to drink freestanding water. Driving around the park we went on a bit of a hike up to a cave and saw more cactus wrens. I had been looking for them since we came down to Arizona, but all I had seen was the little rock wren until today. 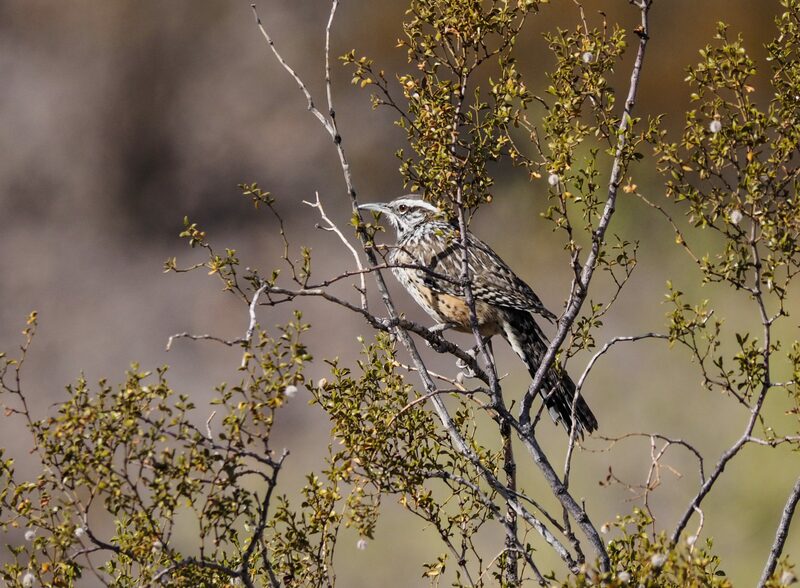 The cactus wren is the largest wren in the US and makes a funny brrrrr sound. It makes you look around to see where it is coming from. 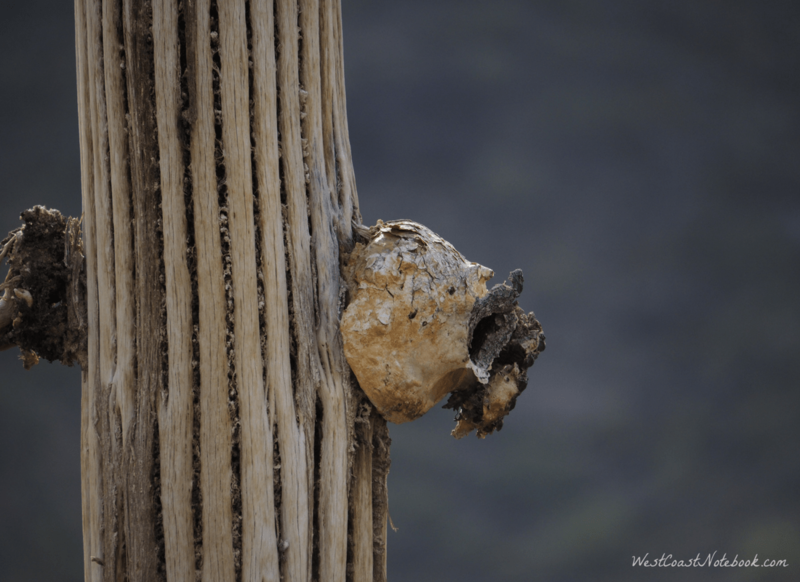 Birds like the Gila Woodpecker make their nests in the saguaros. They will create it and then wait a couple of weeks until the cactus forms a skin all over the cavity otherwise it would lose moisture through the hole. Once the cavity is sealed, then the birds move in. These cavities were highly prized by the people of the desert as they were waterproof and used to carry water. They would gather them when the cactus died. I found one on the remains of a dead cactus and as it is self-contained it is still on the outside of the ribs. Learning all sorts of local knowledge. Right beside the park is an ostrich farm so we decided to go in and see the birds. Wouldn’t you know it. It was the one day that they were closed. You could see the birds off in the distance but that was about it. Back on the road, our next stop was the Mission San Xavier Del Bac. Having stopped here before when they were doing restorations, it was wonderful to see what they had done with the paintings and gilding. There is an incredible amount of workmanship that went into this place. 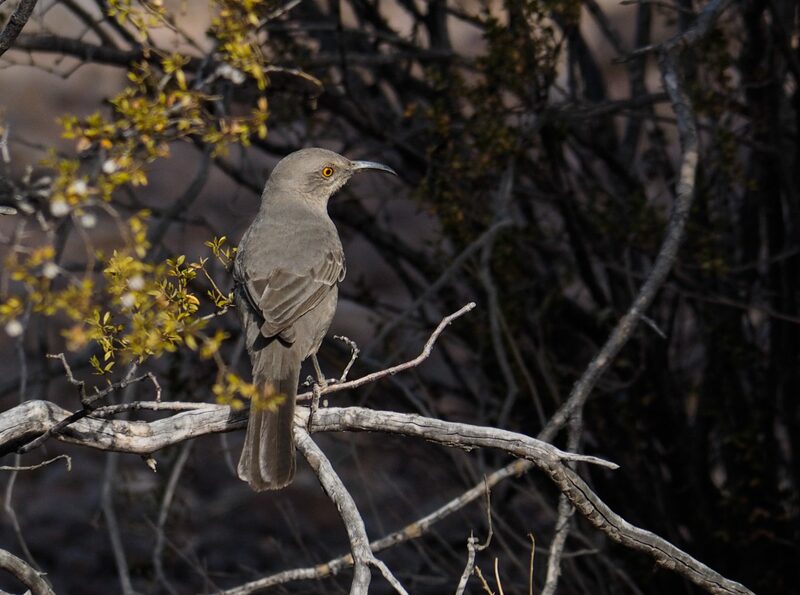 And… did I mention more cactus wrens? Next stop Pena Blanca Lake. This is about 15 miles from Nogales so was our last stop of the day. Lovely lake about 40 acres and is manmade. Apparently, it once had a restaurant and boat rentals, but now it has a boat launch and a couple of docks from which to fish as well as some picnic areas. We did a walkabout and there was a family down swimming in the water and a few people fishing. A coot eating a piece of sausage. Didn’t know they ate anything besides water vegetation. A couple of ruddy ducks, some pied-billed grebes and mallards made up the waterfowl. 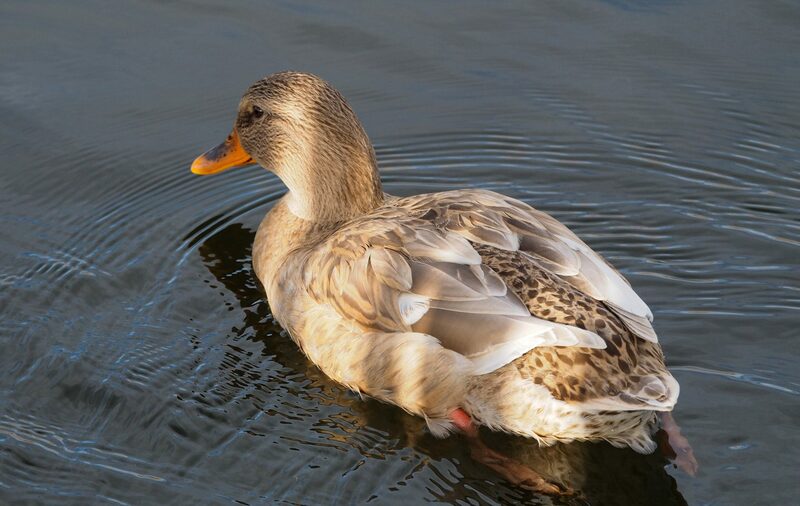 There were a couple of mallards that definitely had some cross breeding. I didn’t get a good picture of one of them, and I’ll post the other below. Getting a hotel room was easy tonight and if you mention it is your birthday tomorrow, they will give you $9 off of your room. 🙂 It’s Rob’s birthday on Nov 16th. We were especially looking forward to dinner next door as last year they had there wonderful garlic, parmesan chicken wings that were awesome. Gone… not on the menu. So I had a caesar salad and Rob got some chicken wings with mango sauce and the other called mild. These have a rating. One fire for the mango and 2 fires for the mild. Let’s just say that mild in Nogales is way hotter than hot in Victoria. Did a quick swim (pool unheated and about 55 degrees) and lounged in the hot tub.